Thank You And See You In 2017. Not a real blog this week - just a quick thank you for reading my posts throughout the year; and extra special thanks to everyone who kindly left comments. I'll be blogging again in January; and will also be welcoming Kirsten Hesketh as a guest blogger on a regular basis. After the response to her recent guest post, she has offered to share the next steps in her writing journey, once a month for six months, so I hope lots of you will drop by to follow her progress and cheer her on. Also in January, I'll be looking back at my word for 2016 - ANTICIPATION - and summing up how it went, as well as sharing my new word with you. I already know what it is and it's going to be an important one for me. If you are in North Wales over Christmas, do come to Llandudno on Boxing Day morning to see the annual fancy dress dip. My favourite character is the camel, who turns up every year. 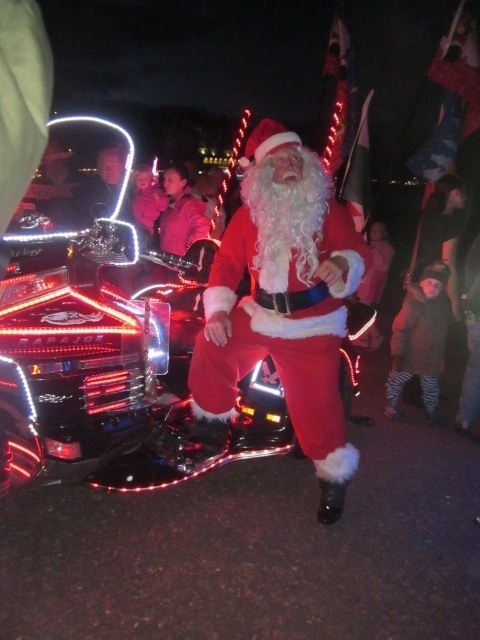 Llandudno's annual Goldwing Light Parade in September. And thank YOU, Susanna, for writing such interesting posts. I've learned so much from your blogs, as well as those of your guests. I'm looking forward to following Kirsten's writing journey and, of course, am 'anticipating' your word for 2017. Hi Julie. How lovely to hear from you. I'm sure Kirsten will be delighted to know that you are so keen to follow her forthcoming blogs. I will tweet you when each of them is published. But if you want to visit my blog at other times, you would be most welcome. I post my blogs at the weekend - and that is also when Kirsten's will be posted. I too have been on one of Moira and Jane's wonderful retreats. Maybe you and I will meet at one in the not too distant future. Hi Susanna, I'm enjoying your blog and am looking forward to Kirsten's posts. I know her from one of Moira and Jane's writing retreats for alumni of Debi Alper's Self editing courses. I write hist fic too - currently trying to find time away from working to edit my first novel. Do you have a sign up for reminders when you post, please? 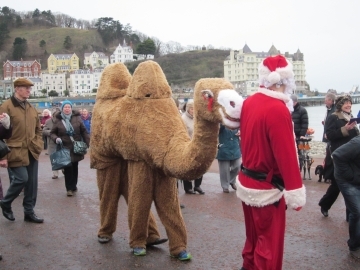 We have a boxing day dip in Seaton Carew (Hartlepool on NE coast) and have seen many costumed dippers but never a camel!